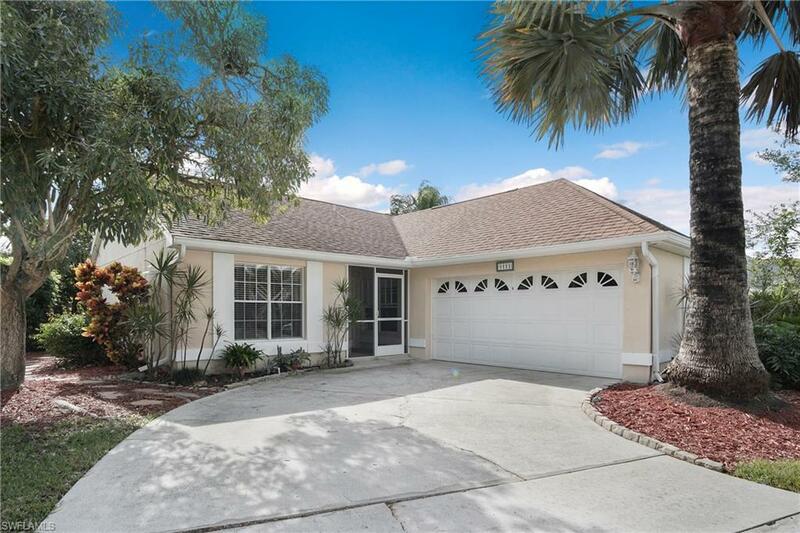 Everything has been done for you in this beautiful Parker Lakes home. 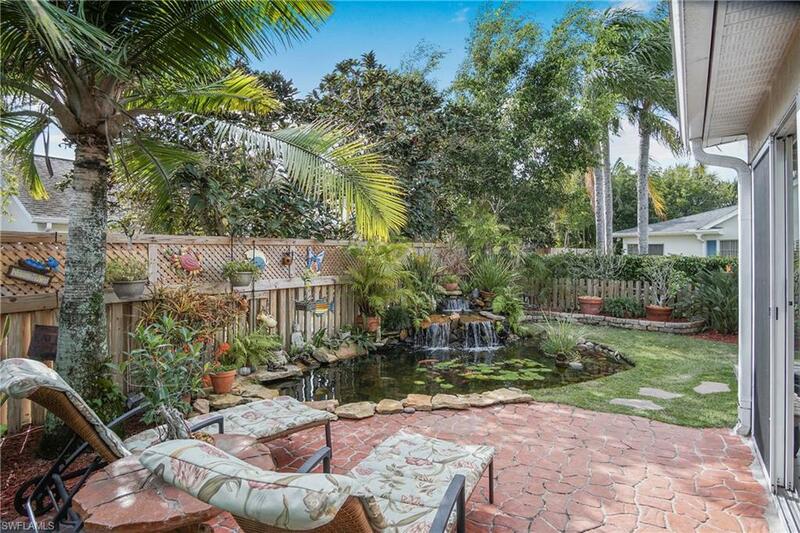 All you have to do is move in, and then relax in your own private back yard oasis. 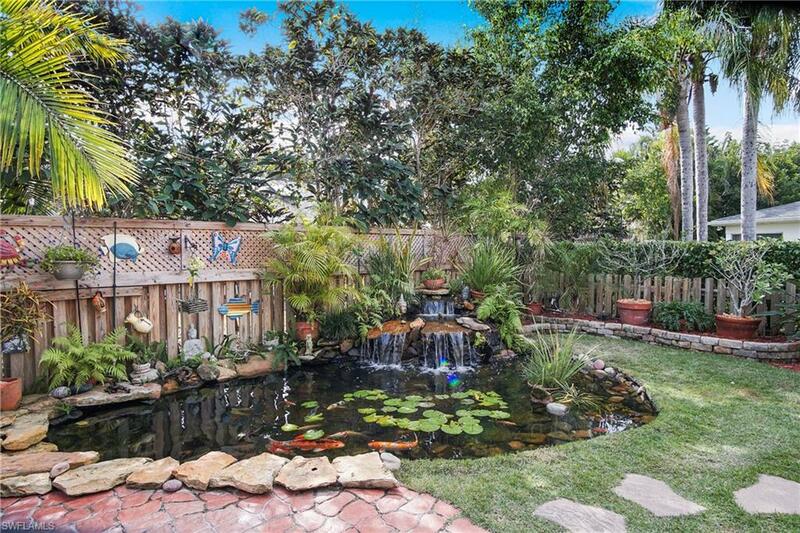 The soothing sound of the waterfall in the koi pond will take you to a special Zen state of mind. As you enter the home through a front screened-in porch, you will notice the custom mosaic inlaid tile. The charming kitchen has been updated with beautiful custom cabinets and moulding and upgraded granite countertops. Rich wood floors in the bedrooms and diagonal Grade 4 tiles throughout the rest of the house. The master bath has been updated with a seamless glass shower. A lanai with impact resistant sliding doors looks out on the garden which has a privacy fence. A corner lot with an extra long driveway gives you plenty of room for guest parking. Parker Lakes is loaded with amenities - larger main community pool, neighborhood pool, spa, exercise room, club house, tennis, fishing pier, park, and playground. All this with low HOA fees. Plus, it is a quiet neighborhood with great neighbors. 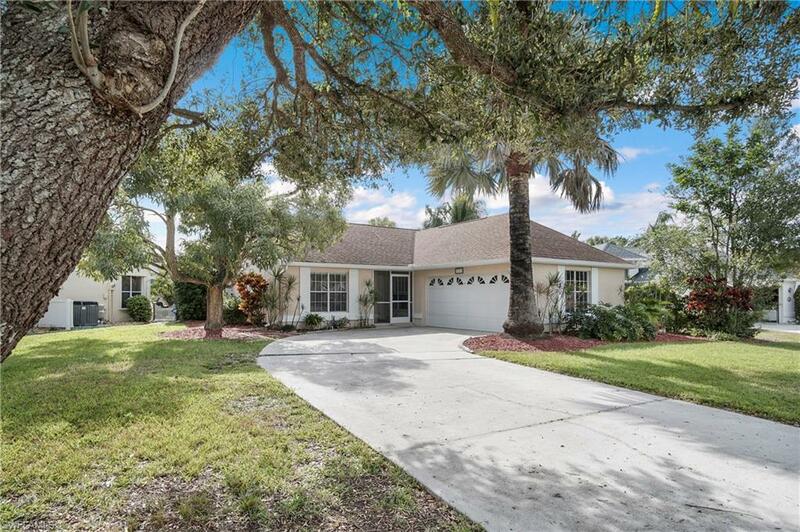 Close to the public library, Health Park Hospital, Lakes Park, schools & shopping & minutes to Fort Myers Beach & Sanibel Island. Listing courtesy of Lisa Gottesman of Right Choice Realty, Llc.